Sir Walter Coffee is a fun Coffee Barista Bar that focuses on coffee, craft and comfort. It is located on the street level of The Edison Lofts on E Davie St in Downtown Raleigh. This bottle shop is located in downtown Raleigh and includes retail space, as well as a long bar serving drinks and sandwiches. 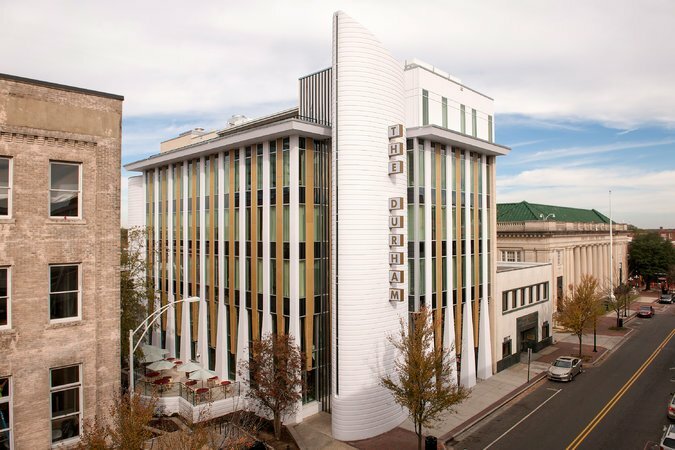 Maurer Architecture served as Architect of Record for this project, in collaboration with Raleigh Architecture and Construction Company. This downtown Raleigh space is located upstairs from what was previously Busy Bee (now home to Trophy Brewing Tap and Table). A long bar was installed in front of the exposed-brick wall. The seating in the front and back can easily be rearranged to accommodate an open event space. A rear platform takes you out to a rooftop bar, which overlooks the downtown skyline. This downtown Raleigh music venue space was renovated in 2010. A larger stage was built with surrounding, acoustically designed ‘floating’ walls. A beautiful steel and pine bar was installed. A quality sound system was also built in to improve sound quality.